When it comes to social media and jobseekers the advice has always been one of extreme caution. The main message? Make sure your social media accounts are spick and span before you start sprucing up your CV. It’s easy to get the impression that when it’s time to ramp up the job search, you tone down your social media personality for fear of turning people off. While a level of caution is still advised, taking the tidying too far will leave you looking bland. With attitude and personal brand counting for more with employers today, it’s best to look at social media as a way to give you the career upper hand. Engaging with it will not only improve your chances of landing a job that fits, but will also expand your network and, potentially, your career prospects. Social media plays an integral part in showcasing your personal brand – a prominent career buzzword of the past few years. Because people are less trusting of brands, peer recommendations are weighted more highly. We see this in the power of digital influencers like Kayla Itsines and the popularity of Glassdoor and TripAdvisor. Google’s search algorithm also takes recommendations and reviews into consideration when ranking sites. Developing a trustworthy and authoritative personal brand will set your career on the right trajectory. Do this by being authentic, offering relevant content, sharing industry knowledge and showing genuine interest in your field. It’s true that people make snap decisions based on what they see online – unconscious bias can be cruel and is always beyond our control. While this can make you paranoid about sharing anything at all, it really shouldn’t. While 60% of managers perform a social screen before they hire, the majority of them are looking for information that supports a candidate’s application. Here your food focused Instagram account can go a long way to supporting your application in the food industry. Or your sharp sports commentary on Twitter can demonstrate that you’re a perfect fit for the HR department of the IRFU. These can be turn offs for some companies but major selling points for others. But instead of playing it safe on social wouldn’t you rather a company sees your personality and interests and wants to hire you all the more for it? Being comfortable at work is what engages and excites people day to day and paves the way for a healthier work-life balance. Attitude counts for a lot – more so than experience for 96% of employers. And your social media profiles are the most authentic way to demonstrate your attitude and personality. An important thing to consider when managing your social presence is benchmarking yourself. Identify people around your age that are at a level in their career similar to you. What are they posting? What platforms are they using? Adopt this and make it your own. If you’re looking to hone your personal brand focus your posts and engage with topics relevant to your industry. You can gain attention through the right hashtags and following industry leaders – mentioning them in your tweets can go a long way. If you’re going to events reach out to those attending and share event insights with people who aren’t there. You can build a presence around your career aspirations – connecting and engaging with people you want to be. Social media is a way to maintain and nurture connections that will benefit you later on. Having said all of this it is worth mentioning that being too familiar and no holds barred on social can leave your personal brand beyond repair. Justine Sacco lost her job, destroyed her career after she tweeted an unfortunate joke before a trip to Africa. While her plane traversed the Atlantic Ocean her professional reputation was quickly being dismantled. One blogger with 15,000 followers re-tweeted it and tens of thousands responded in outrage. It even inspired a hashtag that trended worldwide – #HasJustineLandedYet. Justine’s employer released a statement and she was fired. This is an extreme example but goes to show that it is very easy to miscalculate what’s appropriate and what’s not on social. Social media is more than a voice that needs to be quelled when you’re actively looking for a job again. It’s also not something to be feared when it comes to your reputation. Make yourself found, and desirable. Extend your network, form connections. By embracing social media you’ll find that it can help with all aspects of your career, not just your job search. 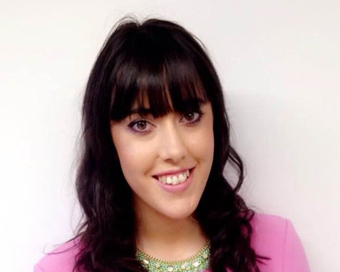 Katie Ryan is a Digital Marketing Executive at Cpl Resources plc, Ireland’s largest recruitment agency. She also writes on and researches the latest developments in the future of work. For more advice on how to build a successful career visit the Cpl blog and the WMB Careers in Partnership with Cpl section.